Home - Laser Solutions, Inc. 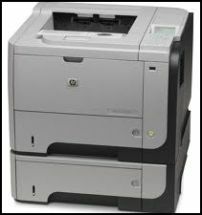 Your one-stop-source for laser printer needs. Since 1989 it has been the goal of Laser Solutions, Inc. to provide the highest quality products and services in Buffalo and Western New York, at the lowest prices. Have you tried a remanufactured cartridge lately? Over the last few decades, the techniques for rebuilding toner cartridges for laser printers has improved dramatically. In fact, independent studies show that high quality / high standard companies like Laser Solutions, can produce cartridges equal to,or surpass the quality and yield of OEM. One thing to remember, most of our local competitors have down-sized on employees and started importing cartridges from China and Mexico – much like the large office supply vendors have done nation wide. Not here, we provide the highest quality and service possible – our products are rebuilt here in Lockport, NY with our local knowledgeable technicians. At Laser Solutions, we pride ourselves on having the best printer cartridges in the industry. Every component of every cartridge is tested, inspected, and replaced as needed with higher quality parts that produce the excellent text and graphics that you have come to expect from the original manufacturer. Many people believe that buying a recycled toner cartridge is a gamble. Many years ago, that may have been true, because products were often not available to replace wearable parts – making it difficult to produce a reliable cartridge. But that’s not the case any longer. Laser Solutions can replace every wearable part to make our remanufactured products as trouble-free as the originals. When you put a cartridge in your machine, you expect great results for the life of that toner cartridge. And with our toner cartridges, that’s just what you’ll get – cartridges that work the first time, every time. Our remanufactured cartridges are 40 to 60 percent of the cost of new cartridges. And your savings don’t end there. We use replacement parts that exceed the specifications of factory original parts and we load our cartridges with high-grade toners, to ensure you OEM or higher page yield with every toner cartridge. Every cartridge comes with our personal guarantee of your satisfaction. You won’t find any fine print or loopholes in our warranty. If you’re unhappy with any of our products, we’ll gladly replace the cartridge or refund your money with no questions asked. Laser Solutions has been rebuilding laser printer cartridges since 1989, and started repairing our customer’s machines a few years later. Looking for ways to stay ahead of the competition, we decided to provide our customers – and offer any potential customers – FREE SERVICE AND REPAIR on their laser printers. This is very much appreciated by our customers as a cost-cutting option that really helps them save money! 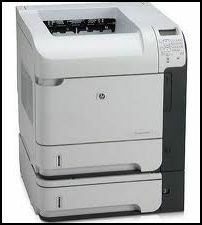 Should You Really Be Paying for Service and Repairs On Your Laser Printers?? ?